Customer complaints can provide huge value and insight to a company. Kevin Snook talks to Janet Eastman about how best to handle and manage through customer complaints to extract that value and secure a loyal customer. 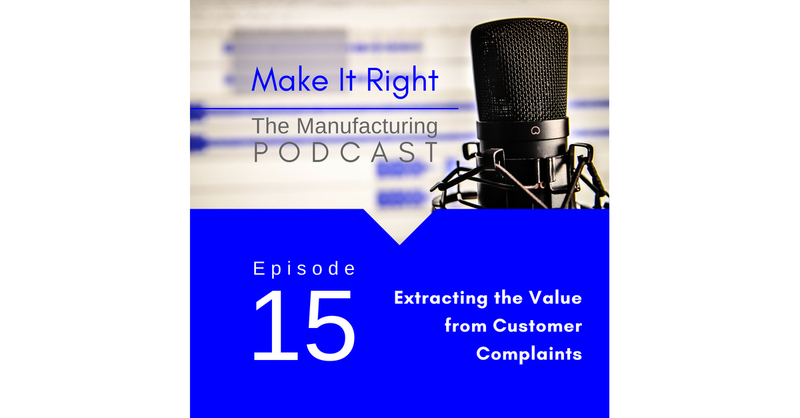 Join Kevin and Janet for Episode 15 of the Make It Right podcast.